It’s rather lazy of this writer to apportion ownership to a servant of the church, yet it’s precisely the type of vehicle a TV producer (of, say an Inspector Morse or Midsomer Murder) would select as visual metaphor for the meek and stoically put-upon, down to its penitential ‘Clubman’ trim, devoid of the equipment and visual niceties of its more brazen sibling models. Which in its own way, could also be said to have summed up the hapless Maestro itself – a car which always seemed to be in the process of self-consciously edging itself out of frame. A car which like its fictitious owner, was uncomfortable in the flashbulb’s glare; devoted to service, content to mortify itself for a higher end. The Maestro has its detractors, both in visual and ownership terms, and one might not call it accomplished in either sphere – not without biting firmly into one’s cheek while doing so anyway. Yet the sighting of this well-preserved, late-era example exuded sufficient allure to cause this author to pause his bike ride in order to document this (holy) relic for your sabbath observations. By turns ungainly and ill-proportioned, it’s an archetypal ‘almost’ car. Yet shorn of the more upmarket models’ body colour bumpers, brightwork and other addenda, the car’s shape can speak more plainly across the generations, offering us perhaps a glimpse of the car it would have been in the late 1970s had BL not sat upon it for half a decade, before wantonly tarting it up for our belated delectation. 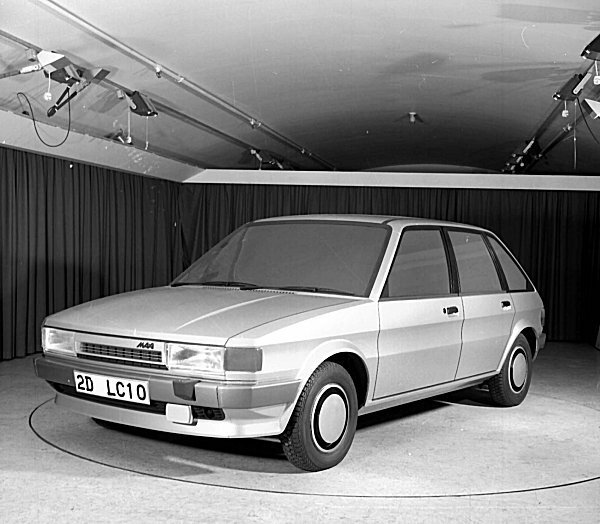 Half-buried within LM10 lies a decent rationalist ‘product design’ car, a la Ritmo or indeed BL’s own SD-1 Rover. Some tweakage of the proportions, some better attention to the radii of the pressings (which in their current form lend the car a rather insubstantial appearance), a better wrought (and designed dashboard) and more attention to detail design could have made all the difference. As indeed would the deletion of all the silly gimmicks BL lashed on to distract from what was, by 1983, a rather dated shape. It is of course, pointless to imagine alternate realities – we only get one shot in life before commencing our lengthier sojourn below ground. The Maestro missed the mark and that really ought to be that. But it’s ungracious of us to speak ill of the dead, so if we cannot allow the hymns of praise to issue from our lips, let us instead silence them. It may have looked awkwardly dated at the beginning of its career already, but it starts to look charmingly dated today. And with its rationalism and friendliness it even carries an air of modernity that we truly miss in today’s designs – just look at these large, optimism-exuding windows! To add a little to this requiem, along with the simplicity of this dark blue car’s appearance, the Maestro was one of those cars where I found the base model the nicest to drive (leaving aside, ultimate performance). The 1.3 A series in its final A-Plus form was a willing little companion, and smoother running in this application with a proper gearbox . And with less weight at the front, and skinnier tyres, than the uninspiring 1.6 models, routine journeys could be enlivened by the car’s responsive handling and good steering feel, while still riding nicely. Come to think of it, in much the same way as ‘bread and butter’ Mk 1 Golfs had their own charm, despite the cult which now enshrines the GTi. What’s going on with those number plates? Heavens above! The Maestro was, as Eóin says, a nice piece of rational industrial design, but was simply too late to market and felt outdated from the off. It also looked rather flimsy. The slim pillars and large glass area contributed to this, but the real problem was the concave pressing in the sides and lack of any discernable shoulder line below the DLO. The impression of flimsiness was confirmed when you drove it. It was willing enough, but rather noisy and the dashboard creaked and groaned over bumps, suggesting that the torsional rigidity of the body was less than it should have been. It’s goose was cooked with the introduction of the Golf Mk2 in 1983, just a year after the Maestro arrived. It was a generation ahead of the Maestro (and the Golf Mk1) in what’s now referred to as “perceived quality” with a much improved sense of solidity and refinement, which set a new benchmark for cars in this class. This article reminds me of a Maestro I spotted in my home town in Switzerland some two years ago. 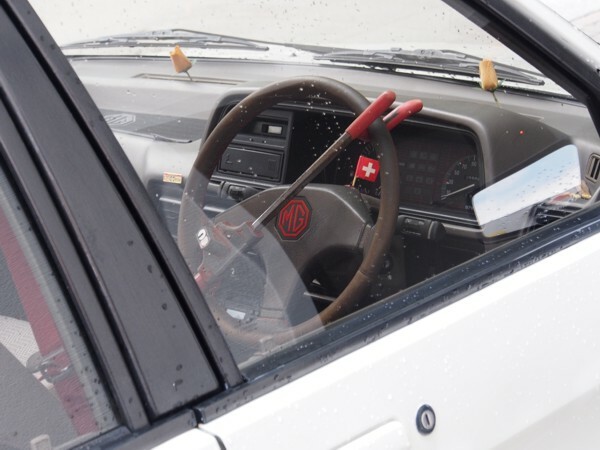 Unlike Eóin’s example, this one was from the upper end of the range, a very ‘eighties’ white, black and red MG version. It’s easily the only example of this car that I’ve seen in twenty or more years. They were not exactly common in Switzerland, but still had some presence on the roads. In the nineties they disappeared quickly, their build was not the best as we know, and it never made the step to become a collector’s item. A rather amusing detail in the interior was the bar blocking the steering wheel, with a corresponding item on the gear lever. Around here, you never see any of them, even in expensive Mercedes, Ferraris or Bentleys parked on the street. It reminded me that not every place is as nice and peaceful to live in as our small country. By the way, I like very much how on Eóin’s last photo the car is illuminated in a way that makes the very long and straight D-pillar stand out. This is one of the most characteristic features of the car, along with the hollow pressing on the sides, and – apparent flimsiness apart – made me like it back in the day. Wow look at this beauty. They’ve fitted the rear hatch spoiler the wrong way up! My dad had an MG Montego EFi, and very proud of it he was too. The Monty wasn’t a looker either but otherwise was surprisingly convincing as a separate model (given it was, essentially, a Maestro with a boot). Correction: I have just a simple rectangle tool to check the parallelism of the scallop and base of the DLO. They are parallel to within a centimtre but do not quite look it if judged by eye. Interesting. If it looks wrong it is wrong. I’ve always rather liked the visual design of this car and don’t see it as being as flawed as the article suggests, though I agree with the base-spec is better commentary. In that guise, it just looks like a decent, modern, car to me. Looking at the pictures now, I’m mainly overcome by a sense of nostalgia for cars with big windows, slim pillars and did visibility; a feeling accentuated by the horrific recent experience of driving a current model Corsa, the gargantuine c pillars of which made reversing out of parking spaces an unnecessarily fraught experience. While hesitating to disagree with Mr Doyle, I feel that I must step in and suggest albeit tentatively that the Maestro is a very long way from being a bad design. It is also not very near the area we associate with great design either. But if I was forced to give it a relative rating, I´d call it one of BL´s best. That´s faint praise. To turn up the praise mega-phone, I would call it surprisingly fresh. As Simon says, the glass house and slim pillars. That this dates the cars says more about the turns car design has taken in recent years than it does about the Maestro. The one feature I am unhappy with is the cost-cut blacked-triangle on the trailing edge of the sideglass. My comments say nothing about its reliability or driving quality. Just as a 3D object, it has much of merit and not having seen one in a long time, I can re-appraise it and see its good qualities more clearly. I liked the octagonal design of the Maestro when it came out. One thing that bothers me is that the bottom of the DLO is not parallel to the side scallop. In fact, you can clearly see from Simon’s middle photo of the white example above that it tapers towards the rear of the car. I’ve always felt that it should have gone the other way i.e. been wedgier. Having grown up with Citroën CXs, I’ve come to generally like downwards sloping window lines. But of course, other features on the car should run accordingly and not against that slope. The octagon is also one of my favourites on this car (and it marries well with the MG badge). It’s a clever and distinctive means to take away visual mass from the design. I don’t think it’s used very often elsewhere, most cars are just more or less rounded in these parts. Where I can see a parallel is with the Fiat Ritmo, where a similar motif is employed to structure and characterize the window openings. Or parallel. I think the designers wanted a visually continuous line around the base of the windscreen and the base of the side-glass. Sometimes that is done by an uptick near the side mirror; sometimes the base of the DLO rises from its middle to the ends; in the Maestro…. it´s parallel, isn´t it? It looks parallel from the side view. The b&w photo only looks like it falls because of perspective. The two lines rise very slightly from front to back. Overall, I see parallelism which some might feel makes the design look a little to inert (I don´t think so). Unfortunately, these door cappings often warped in the summer heat. This happened to my 1984 Montego company car and they had to be replaced. It’s a moot point as to whether the upper scallop line is rising or the waistline is falling, but the gap between the two does, to my eyes, narrow towards the rear of the car. Daniel: in the side view I can see the very slight tapering of the window line and the upper edge of the scallop. The difference is there and so small it could (I feel) have easily been corrected. 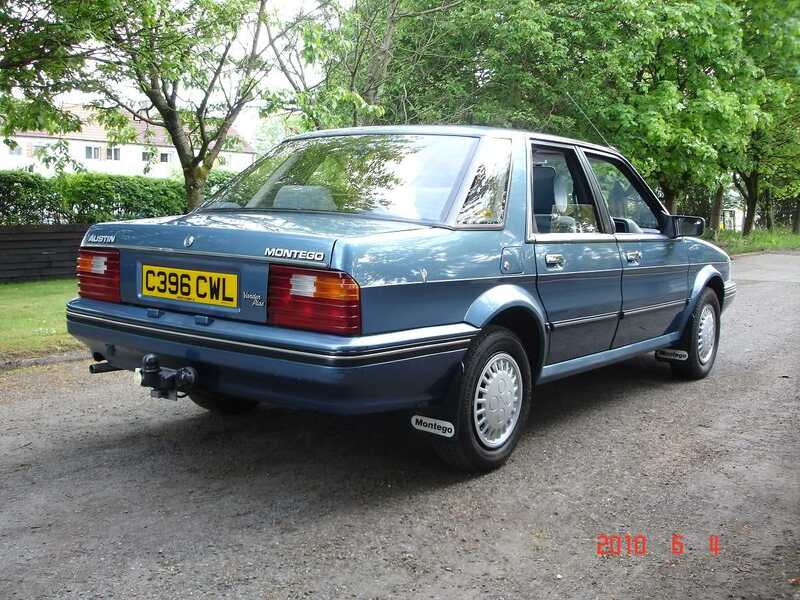 You show a VandenPlas Montego: I can remember when that name meant a lot on a BL car. It sounded very sophisticated. At some point I had a friend whose dad had a VdP version of BL car and he was very keen to emphasise that the model was a VdP. I think we were both well under ten years old. Oddly, the name still gives the Montego a touch of class. In plan view, the four corners of the car are cut off diagonally (look at Eóin’s third photo or at the front bumper in my first picture). The MG was a much, much nicer car. It was better built, much more nicely trimmed, had a better judged chassis, and the grunty injected ‘O’ series engine meant it was pleasingly swift. 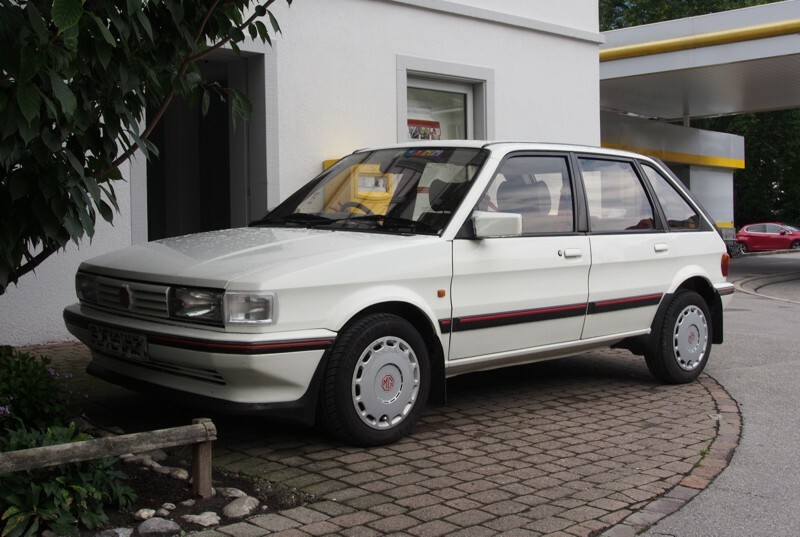 I recall that either Performance Car or Fast Lane (the former I think) ran a large group test which ranked the MG EFi third behind the Golf GTi and the Strada Abarth, which was such a shock to the journalists involved that they almost apologised for the outcome in the ‘Verdict’ section. It still had the from-launch dashboard, which must rank as one of the worst production engineered items known to the industry. The upper part of the dash literally had a squidgy-plastic sleeve pushed onto the hard plastic base, and the fit was both awful and all too easily came away from the dash. So, I do have an affection for these cars, but when one sees one lined up against a Golf II, let alone an Astra II they look like something from another era – in spite of the plastic bumpers. I always felt the Astra II was an underrated car – it was quick, light, aerodynamic, very modern for its time and blessed with a nice engine and gearbox (I drove an early 1.3L with a 5 speed gearbox and found it a revelation compared with the Austin). Absence makes the heart grow fonder. Many moons have waxed and waned since I last saw a Maestro, like meeting up with a old friend you’ve not seen for years and getting on. Maestro-ness must be next to godliness; ‘‘tis pristine! Have I been unduly harsh about the Maestro’s styling? If so, I didn’t really intend to be. I’ve always rather liked it. However, there are issues with its proportions. 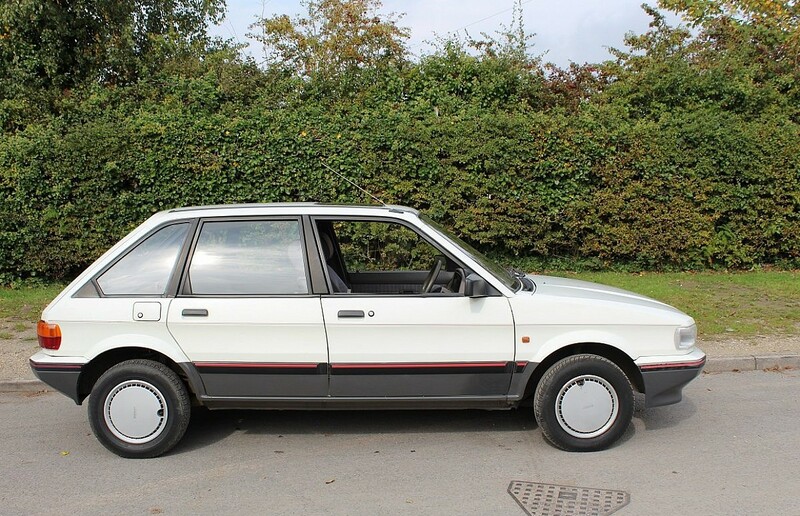 The dash to axle ratio is miniscule, the manner in which the door sills tuck under gives it a crossover’s ground clearance, and the rear doors appear truncated by contrast to the fronts – a matter underlined further on the related Montego. But, as I pointed out above, it wouldn’t have taken much to have sorted this. The pity is that it wasn’t, that BL contrived to sit on the design for so long and then sully it further with modish plastic addenda. As we can see from this styling prototype, the late-era car as shown in the piece displays a notable similarity. Simplest is best. The way the sills tuck under the car doesn´t trouble me. I read somewhere that Spen King had input into it and wanted the car to have something of the practicality of the Range Rover. I’ve always had a guilty soft-spot for the Maestro. Guilty because almost everyone derides them, so its lovely to read a balanced article here. Given that it was styled under David Bache I think you’re right that the delayed launch was a significant issue – styling was moving away from the origami-style that the Golf introduced. I believe the LM10 prototype is wearing a ‘Maxi’ badge at the front – that would have been an interesting twist, and in-keeping with the ‘M’ theme adopted by ARG. I always thought there was some Allegro DNA at the rear, with the D-pillar dropping down to the rear lights mounted at the corners. Fortunately they avoided the ‘cottage-bun’ effect. I may also suggest there’s some Maxi DNA in the falling window line, but that may be pushing things a little. The Maestro was such an odd car for me as a kid. I didn’t dislike it but there was on Otherness to it that verged on the creepy. 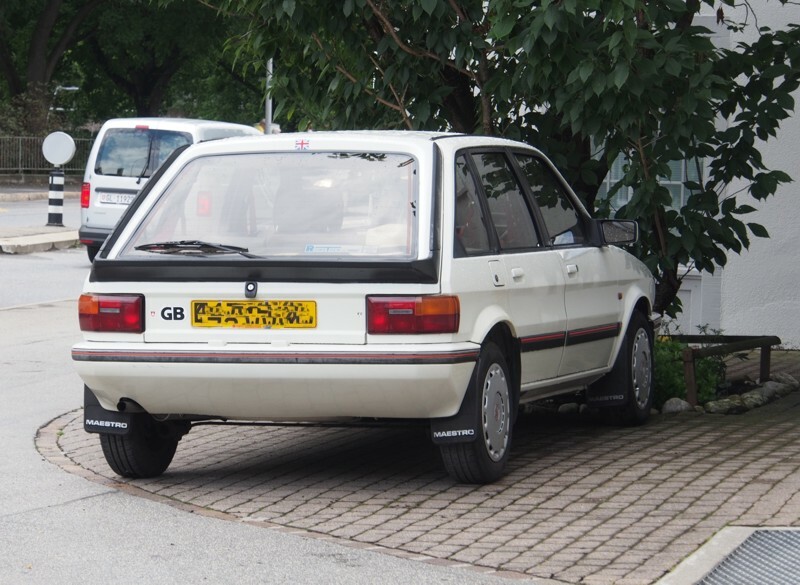 Same with its bigger brother, the Montego, they felt so…leftfield ?. And I thought their names were bizarre, there was nothing with those cars that suggested an Italian or Latin vibe. And now that I think about it it’s odd how Honda, who owned Rover, carried on with the musical theme with some of its model names: the Concerto, then the Jazz. Iam not sure if the Prelude was created before or after the purchase of Rover though. Big correction, Honda didn’t own Rover of course, as I stated earlier and as most here would have understand. It just felt that way this afternoon thinking about the sad peripatetic life it led before its early demise.